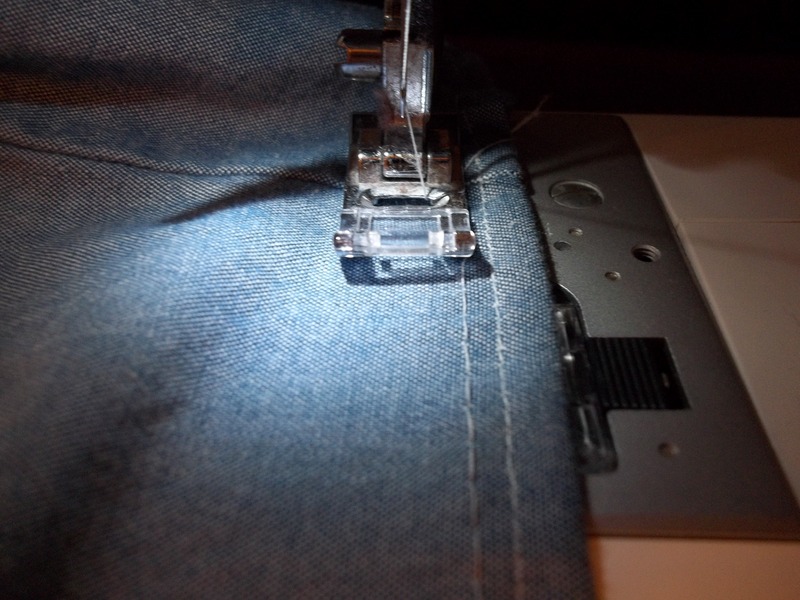 I have been wanting to try my hand at shirring for probably the past year. 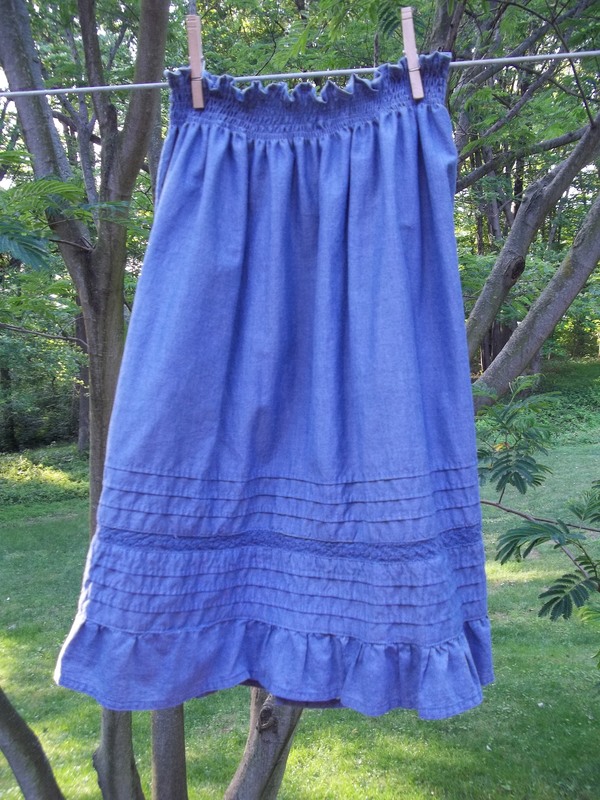 I’ve seen many cute skirts and tops out there with shirred waists or shirring details. Finally, armed with a great how-to courtesy of Make It Love It (her tutorials rock! ), I got up the gumption to actually do it. It was way easier than I thought it would be. If you can sew a straight line, you can totally pull this off. 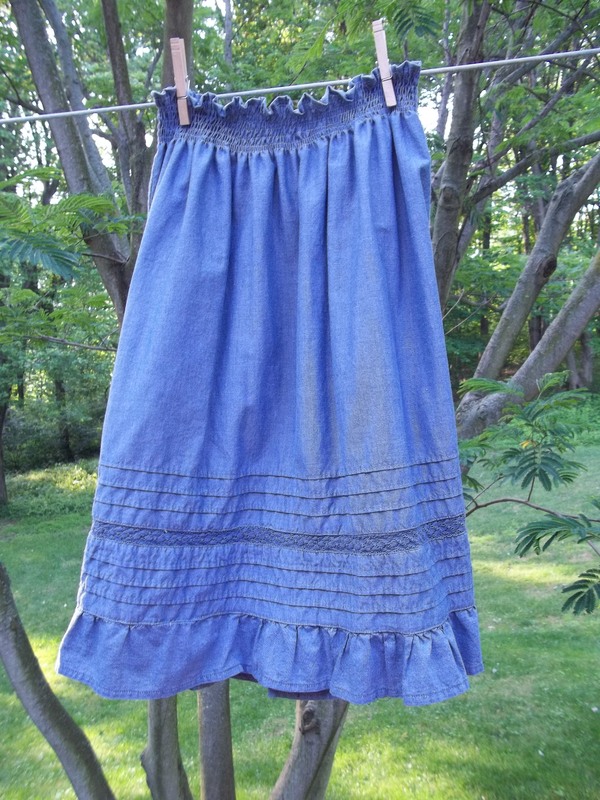 I dove right in and practiced shirring on a dress-turned-skirt refashion. 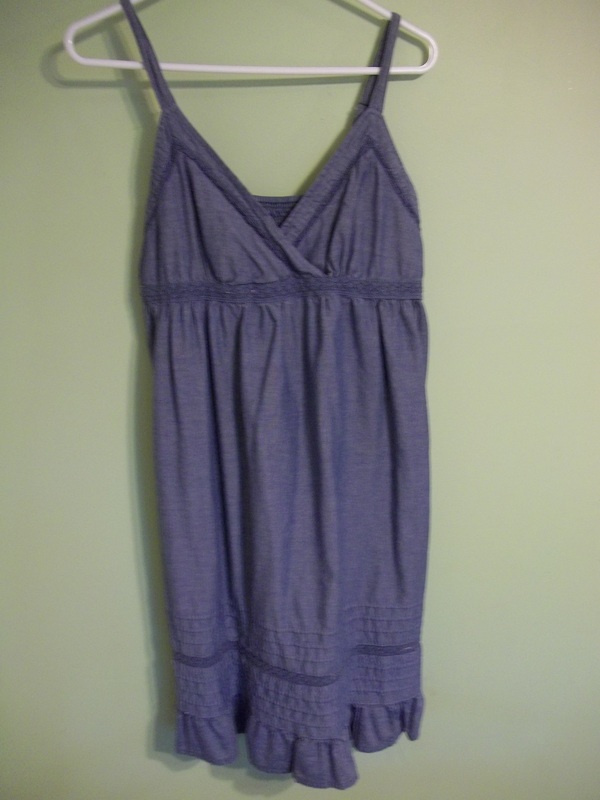 Cute, but the top was a little immodest for me unless I wore something underneath. into a comfy skirt I can pair up with lots of other things I own. Hurray! I had always loved the bottom of this, which is why I probably bought the dress in the first place. 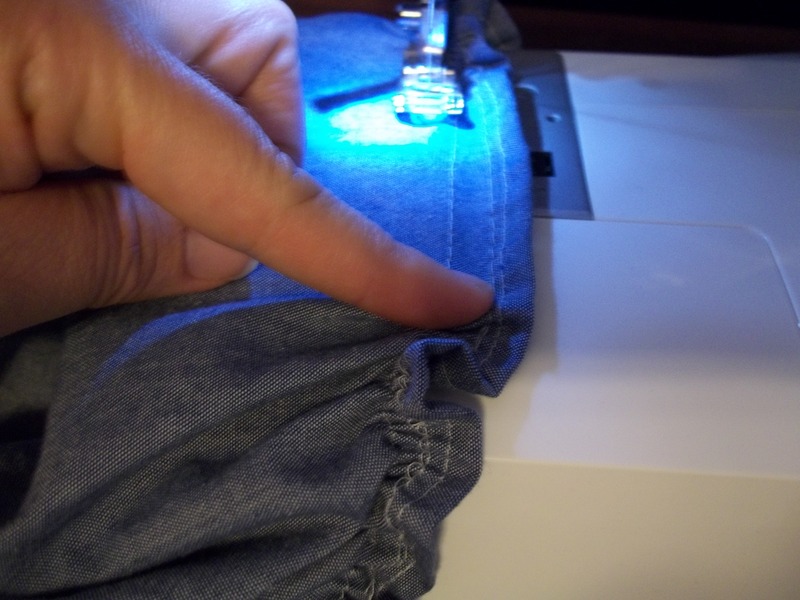 Here’s a quick run-down of how to shir fabric. First, purchase some elastic thread. I had a hard time finding this, so if you are at a fabric store, look with all of the actual elastics first, not the threads. 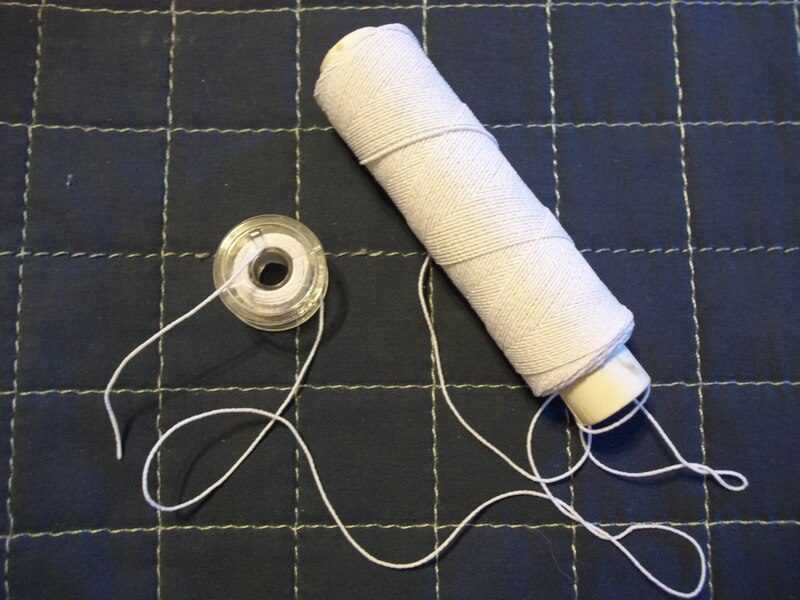 Get yourself an empty bobbin and hand-wind the elastic thread around the bobbin. This doesn’t actually take all that long to do. Just make sure you don’t wind it too tight or too loose! Also, don’t overfill the bobbin. 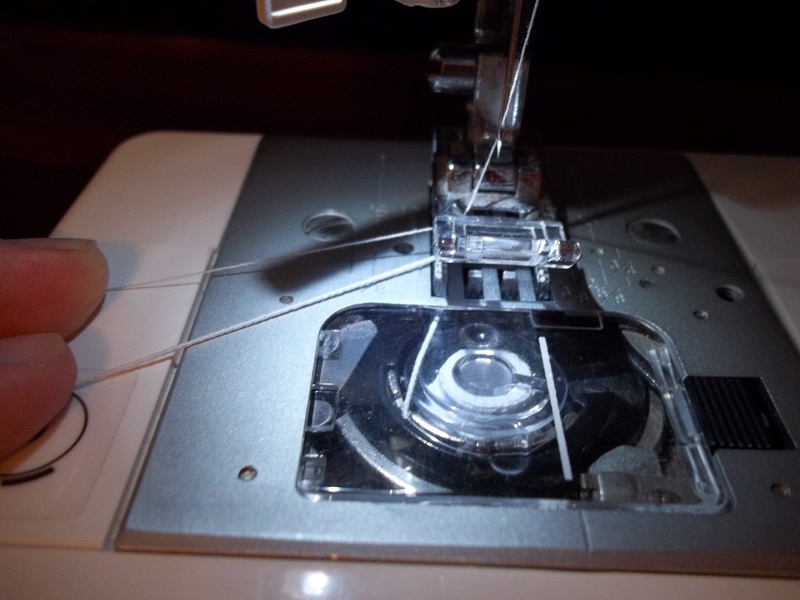 Place your elastic bobbin in your machine and put regular thread in the top part to match the fabric you are working with. Then, all you do is basically make rows of straight stitches, using a much longer stitch length than normal. I used the right side of my presser foot as a guide when I would go to do the next row (see how it’s lined up in my picture?). 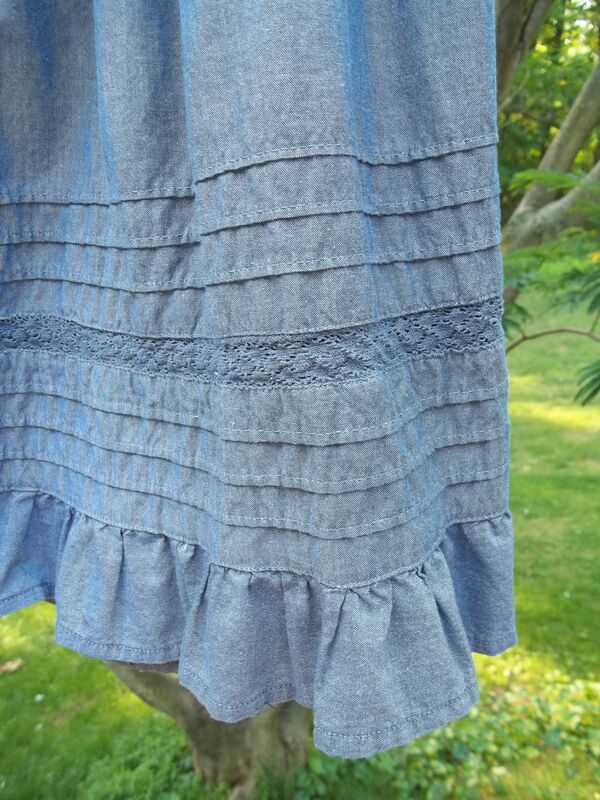 Also, you want the outside part of your fabric facing up so the elastic only shows underneath. Since this was a waistband, I made probably 8 or so rows. As you can hopefully see in the above picture, you will need to use your fingers to sort of pull the fabric semi-taut as you go. Otherwise it is all scrunchy-bunchy and hard to stitch. When you’re happy with the amount of rows you have, press with the steam setting of your iron to get that elastic even more nicely tightened up. That’s pretty much it! If you go to try this for the first time, I would recommend practicing on a piece of scrap fabric before you dive in on a specific project. 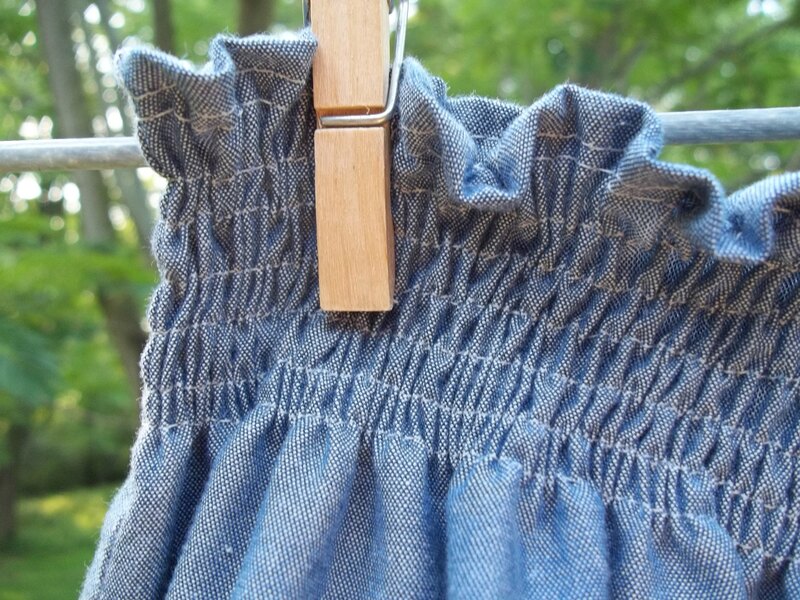 Overall, I found shirring to be much easier than expected and was awfully glad I gave it a try. Now I have other projects I would like to use this method on. oh that turned out so cute! i need to learn to do this too…it would open up so many more possible thrifting treasures 🙂 also thanks for stopping by my blog. it’s always nice to meet other twin moms. I pinned this for when I learn to sew! Great tutorial! Thanks so much for sharing at Mom On Timeout!